Q: Does Bassam actually die or is he just seriously wounded? Q: Why did Hani send in Ferris? 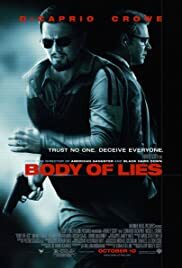 V. well-made; everyone from the cast and crew pulled their own weight in Body of Lies. Director Ridley Scott's genius shines through what could have been another unpalatable, trite topic of the US' relations with the Middle East and terrorism. He expertly unravels the story of CIA operative Roger Ferris (Leonardo DiCaprio) who is assigned to flush out an evasive terrorist who is blowing up public places all over the world. Ferris is increasingly frustrated with his boss Ed Hoffman (Russell Crowe)'s impatience and double dealings, which more than once puts himself in jeopardy, challenges the trust he is trying to build with Jordanian leader Hani (Mark Strong) and his budding romance with the pretty Palestinian nurse Aisha (Golshifteh Farahani). DiCaprio just keeps getting better and better as he is now more able to lose himself in a role and successfully shed the pretty. 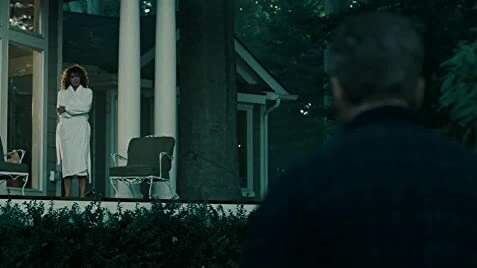 Crowe does well in an understated but dangerously quiet role as a Washington-based puppetmaster. The versatile Italian-Austrian Andy Garcia-lookalike Strong is fantastic as the powerful Hani, while Farahani's face lights up the screen and turns in a memorable performance as well. The attention to detail in this movie is just awesome; the action sequences are not over the top but satisfactory enough to not lose the main storyline despite the complex thread of subplots. Overall, an engaging, intelligently-made film. 95 of 146 people found this review helpful. Was this review helpful to you?